Stephanie has over 20 years of experience and can draw a person every 3 minutes on average!! 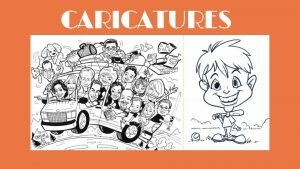 She will provide you with a fun caricature to take home!! Bring your friends and join in the fun!! This is another FREE event with your paid admission. Prices and Details: http://www.thepumpkinranch.com/pricing/ * This event ends promptly at 3pm regardless of how many people are still in line. Please plan your day accordingly.